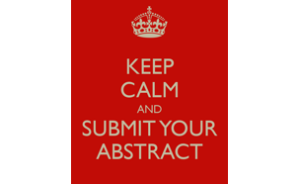 SOCCNX11 Abstract submission extended – An extra chance! As abstracts for Social Connections 11 in Chicago this June are pouring in we also get some rather frantic requests from people asking for just a little more time. With the end of quarter upon us some seem to struggle to hand in that abstract before the deadline. And as we really want to make sure we can provide you with the best possible selection of sessions and give everyone a chance to submit, we’ve decided to extend it. So, if you haven’t yet submitted and thought you were too late… This is your chance – but last chance! – to submit for this great event. The deadline has been extended to Friday April 7th. Which will be the final deadline for this event and although we already have an amazing line up of sessions to choose from, we are still open for any great design or administration idea, your real life experiences with ‘going social collaboration’ or any other interesting topic around social collaboration, Watson work services or analytics. So don’t wait any longer and use these extra days to submit that awesome session! Want to get a feel for the type of sessions we generally look for? Visit our agenda for our previous event in Toronto and to read more about two of our keynote speakers that have already been selected for this event check out this blog. We look forward to seeing your session!